Yes, it is true that I am a real estate photographer but there are times that I get the chance to photograph other things besides homes. A few weeks ago, I was given the chance to shoot a completed construction projects for Myrick Construction. 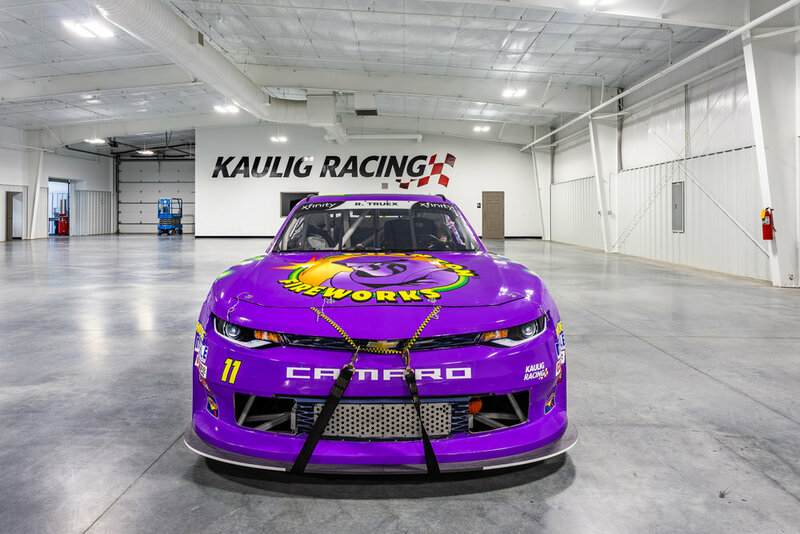 Myrick completed the construction of an add-on facility for Kaulig Racing and NASCAR driver Ryan Truex. This facility was for housing the tractor trailer that is used to deliver the cars on race day. For this particular photoshoot, Myrick wanted to not only showcase the newly built facility but also have Ryan’s car in the shot to give it a bit more interest. Thankfully, I was about to get there and grab a few shots of the car and the carrier before they had to leave for a race in Michigan. I got the interior shots first and they as I was getting the exteriors, which included aerials as well, the trailer started to leave for its long journey.